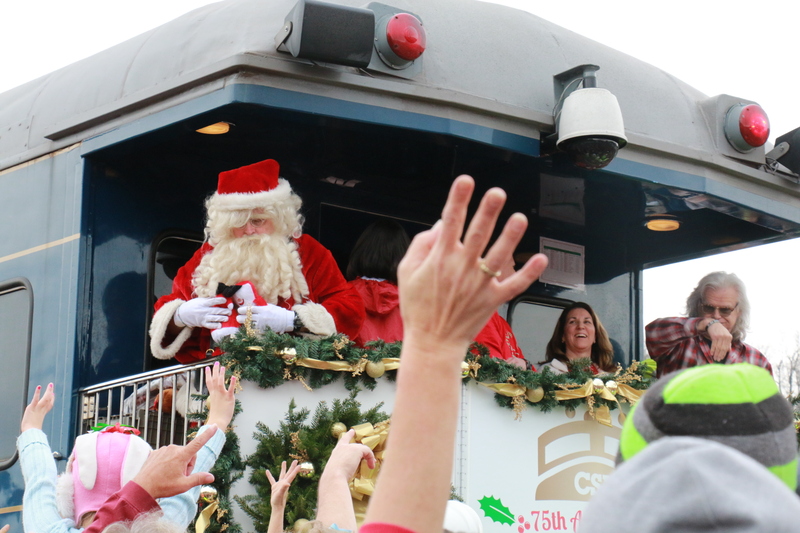 Children excitedly danced along the tracks as the train’s whistle bellowed, signaling the arrival of, for many, the few gifts they would receive this year. 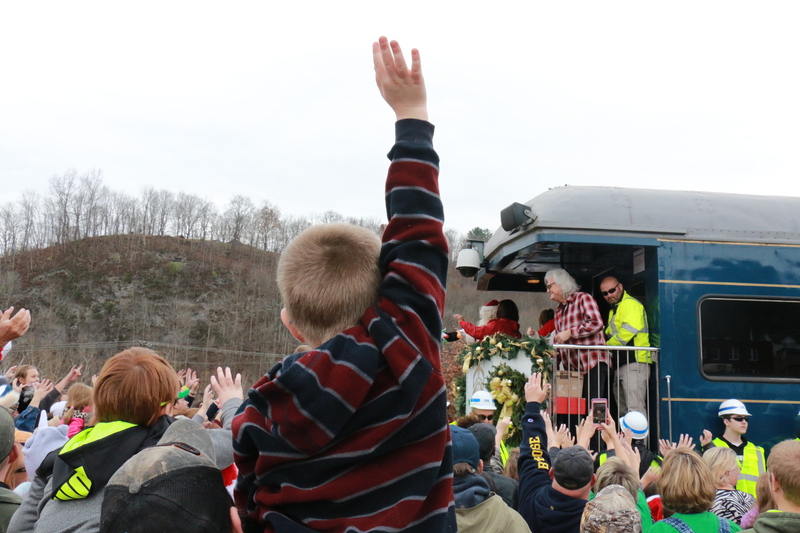 As the gleam of the locomotive came into view, heaps of stuffed animals, jackets and toys were tossed off of the train’s caboose, and hundreds of anxious boys and girls shouted the name of the man they spent the past 11 months waiting for: “Santa!” The Santa Train, an annual promise of better times to come, arrived once again and provided a much-needed sense of hope for those who see very little of it in their community and the world. 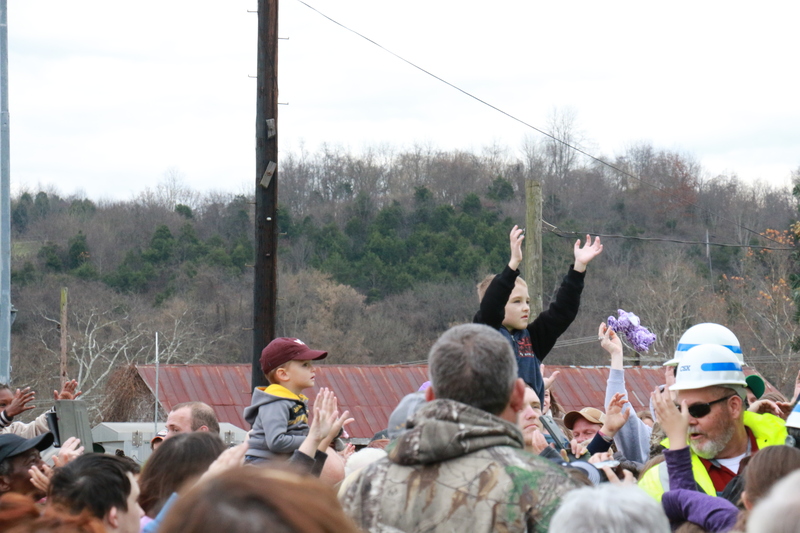 Castlewood, Virginia, resident Cathy Richardson, 51, has been participating in the Appalachian tradition for 22 years, and like many Southeastern natives, she was thankful for the sense of security and hope that the holiday ritual provides. 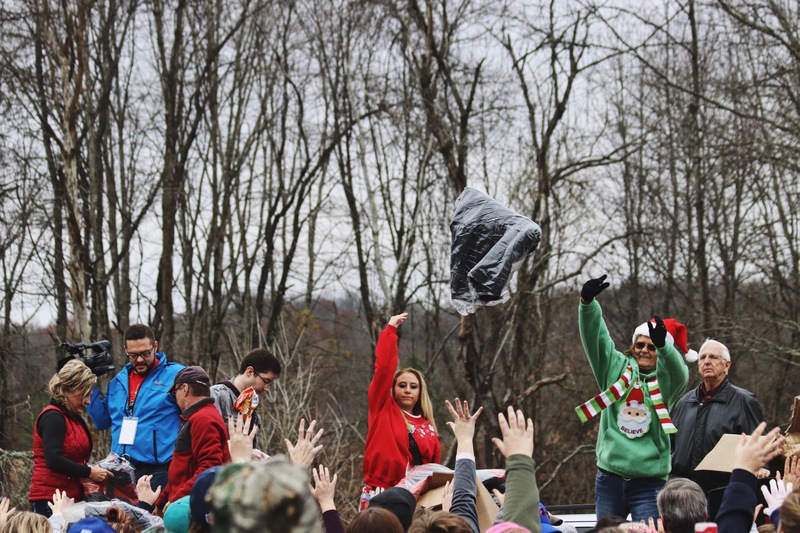 The Santa Train, which finished its 75th run on Saturday, Nov. 18, makes its way through more than a dozen towns in Virginia, Kentucky and Tennessee every year and provides massive helpings of toys, food and clothing to locals. 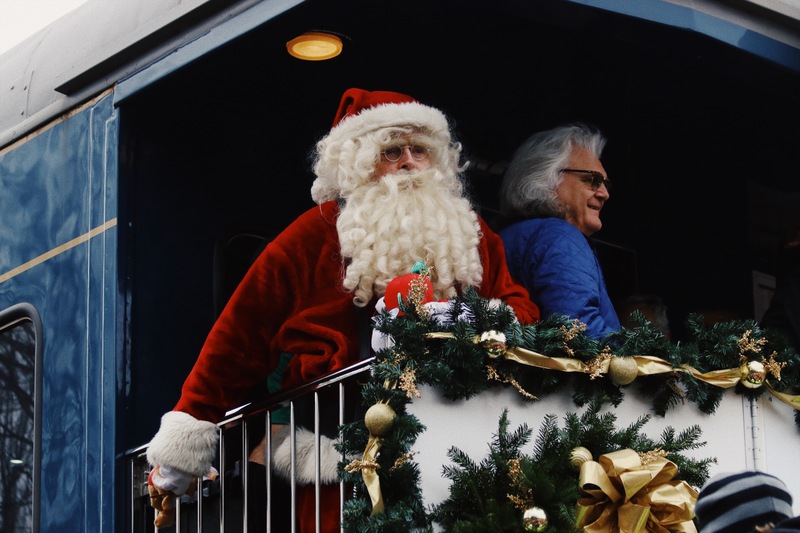 This year, Don Royston, the Kingsport native who has acted as Santa Claus since 2000, and American country and bluegrass singer Ricky Skaggs threw presents from the train. 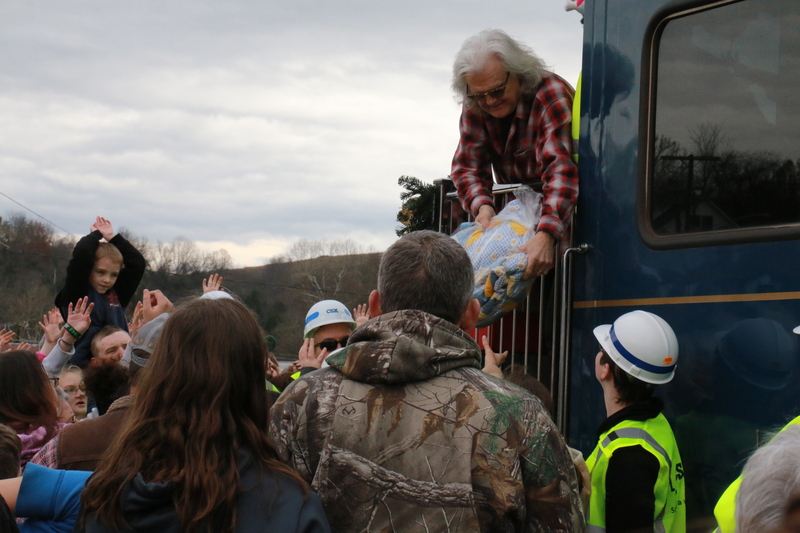 When the train arrived early Saturday morning in the small town of St. Paul, Virginia, Royston, who donned the traditional red suit and hat, Skaggs and CSX workers distributed some of the 50 tons of gifts that were stored on the railroad cars. 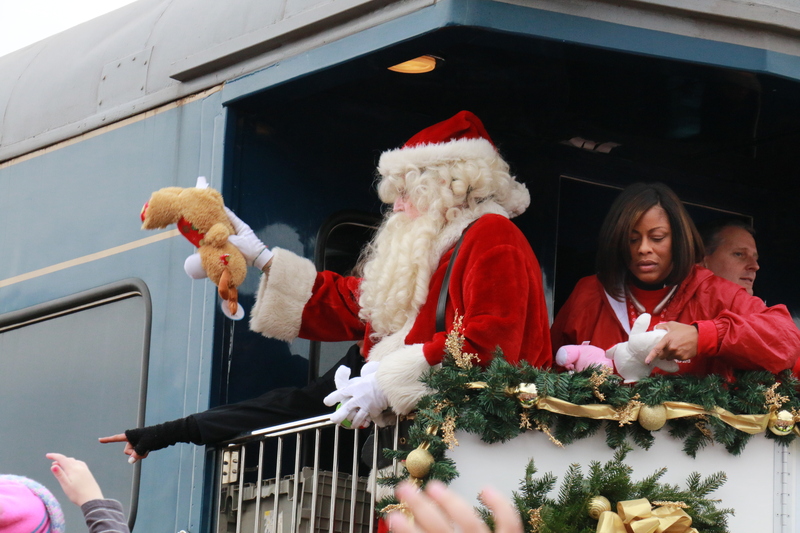 Richardson returned once again to St. Paul to see the train deliver presents to the community and said that the area has taken a turn for the worst within the train’s 75-year run. 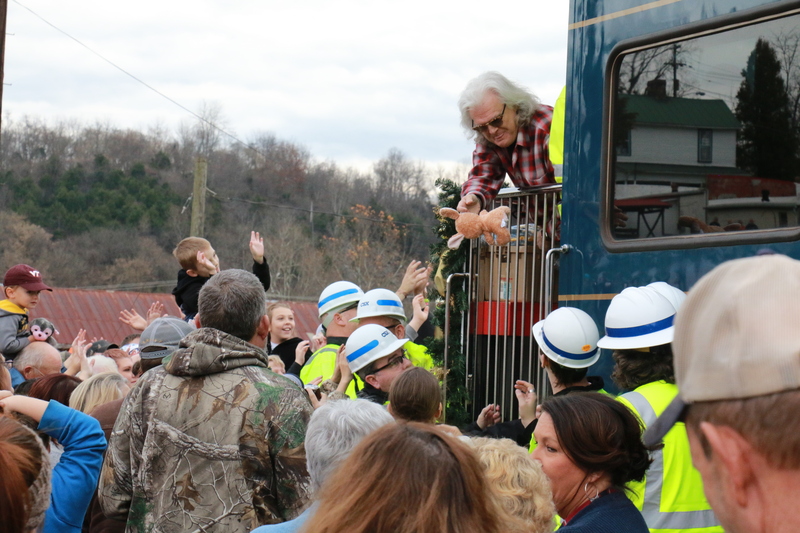 Carl Hale, 67, traveled from Rock Hill, South Carolina, to allow his grandchildren to see the holiday custom chug by. 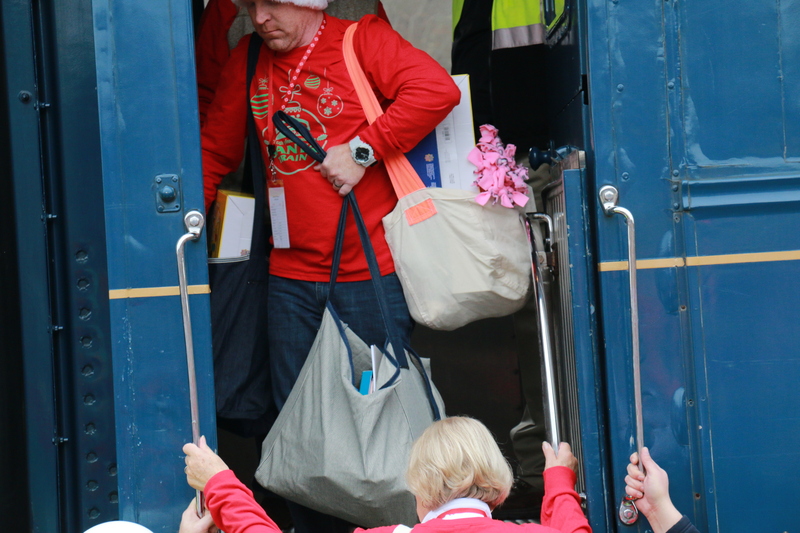 Under his red cap and crooked smile, he echoed Richardson’s sentiments. 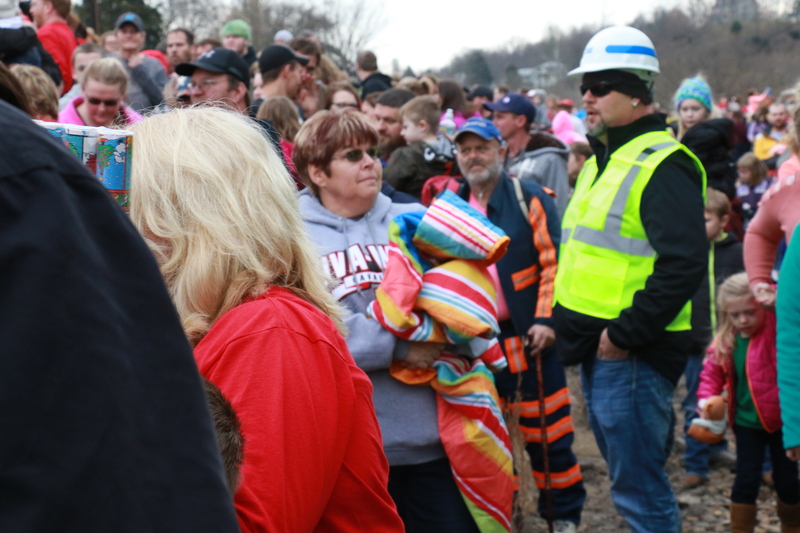 The coal industry in Appalachian states has been declining steadily for years. 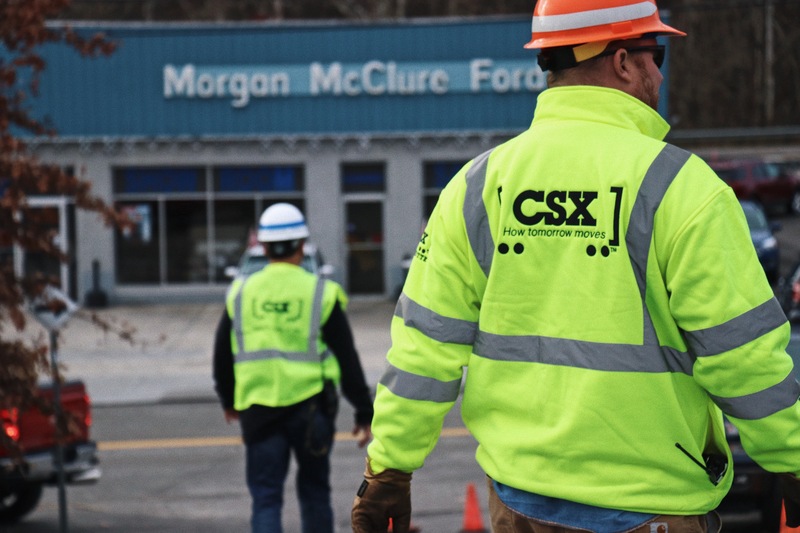 With the rise of solar energy and the abundance of natural gas, the industry that fed and clothed hundreds of families throughout these states is disappearing. 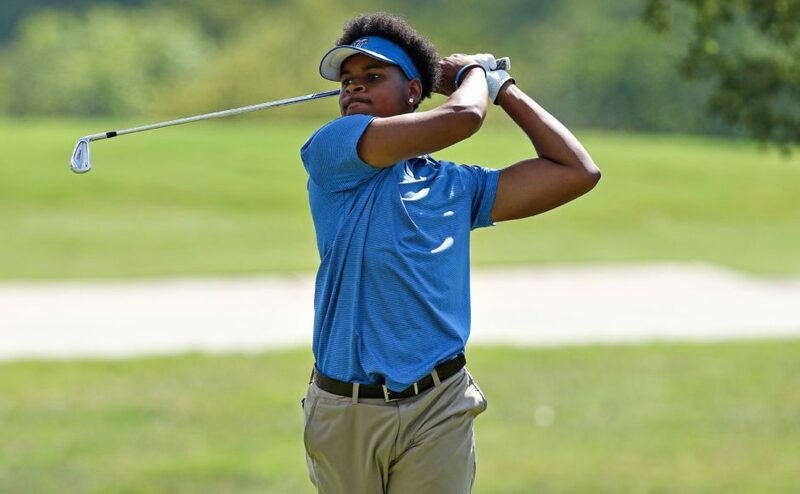 Towns such as St. Paul, which is home to an estimated 970 people, are areas in which young people leave for better opportunities in the surrounding areas. 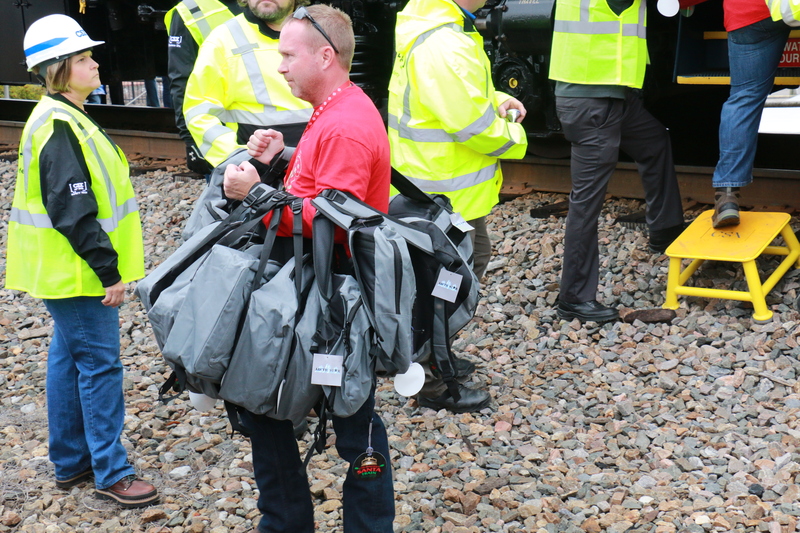 According to a five-year U.S. Census survey that ended in 2015, 21 percent of St. Paul residents are living below the poverty line. 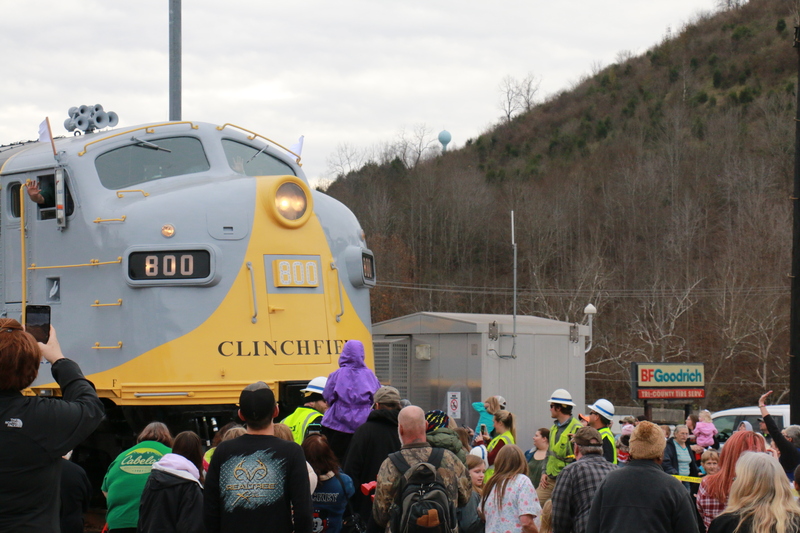 However, families who have been watching the train chug through their towns for decades are no strangers to hardship. 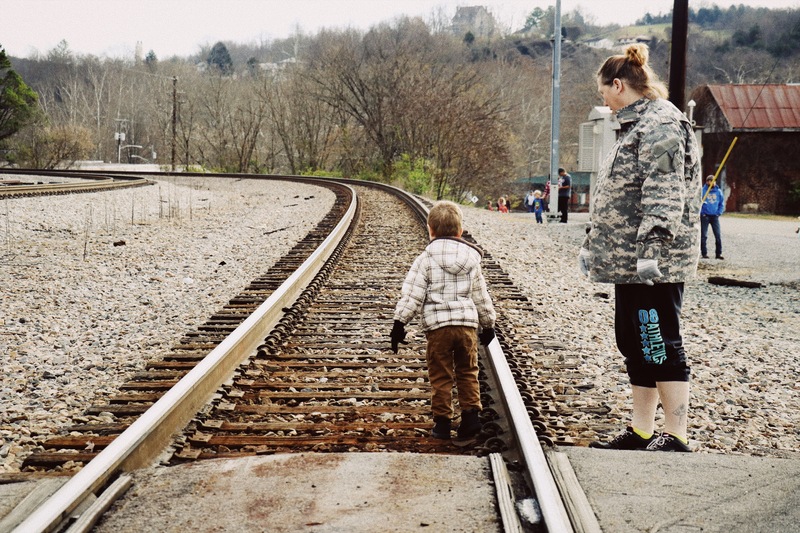 The train first rolled through the hollows in 1943, two years after America entered World War II. It served as a joyous distraction, as it does now, and offered a sense of peace in turbulent times. Now, 75 years later, the country is divided by fear and turmoil, and American troops are still in harm’s way. 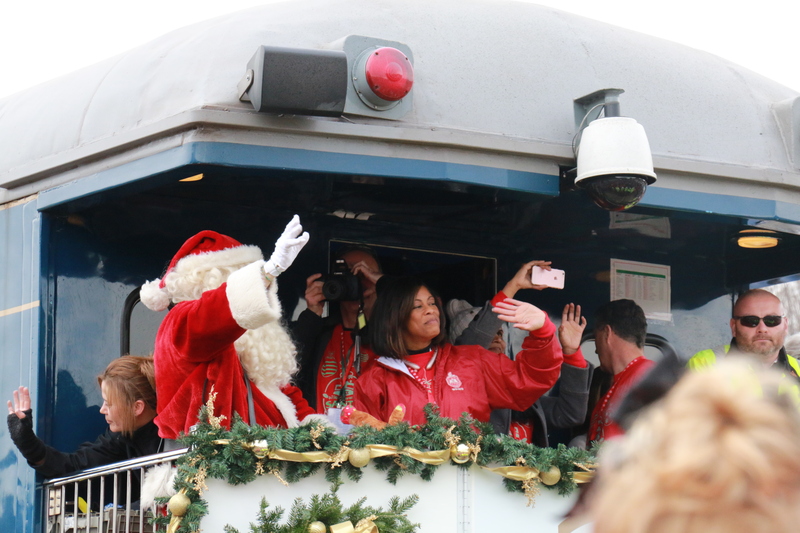 Despite this, the Santa Train is an annual reminder of hope. 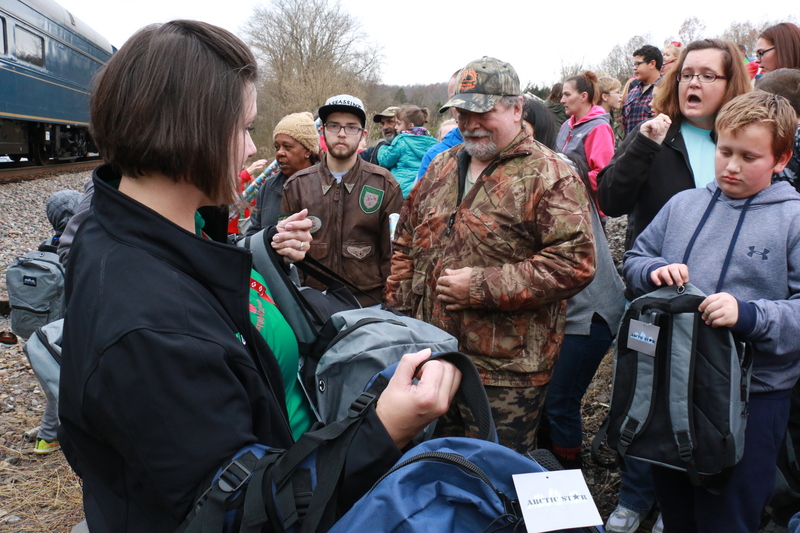 While many in the area feel threatened by the current social and political climate, the hoards of Virginians who gather for the train every year find comfort in the joy that the tradition spreads. 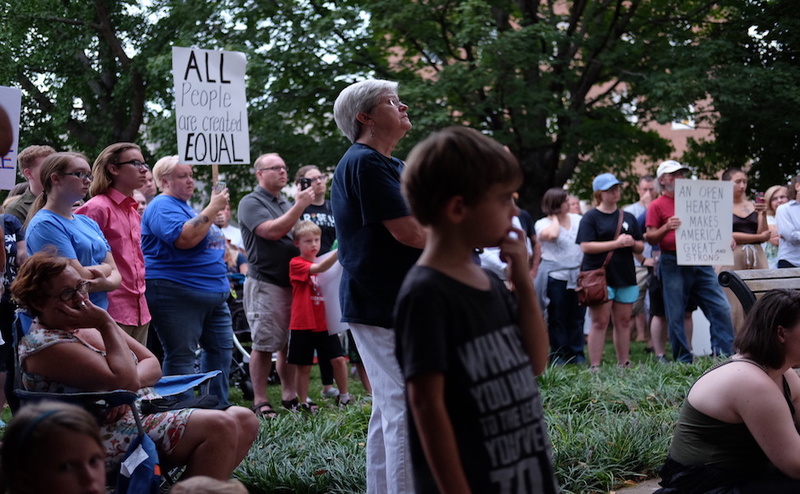 “I see the community spirit as a beacon of hope,” said Sarah Sawyers, 40, a St. Paul resident. 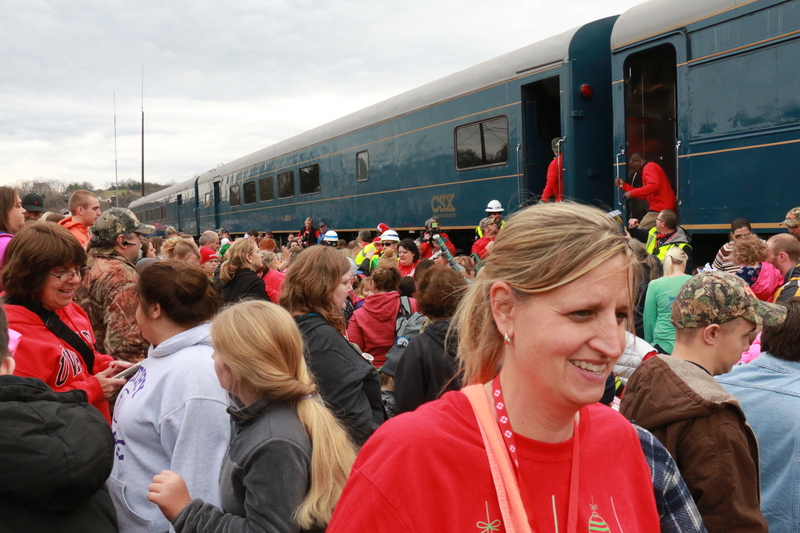 With the crisp air nipping at the outstretched hands of parents, girls and boys, the hundreds that gathered in St. Paul celebrated the gifts, community and heritage that the train evokes. 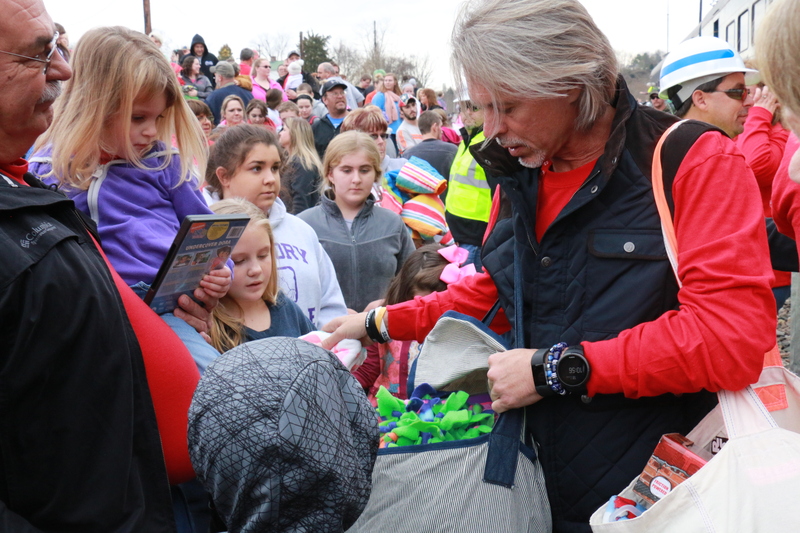 As Royston and Skaggs pitched toys and gifts, CSX workers climbed off the steps of the train cars, wielding bags stuffed full of school supplies, clothes, books and other gifts for the crowd. 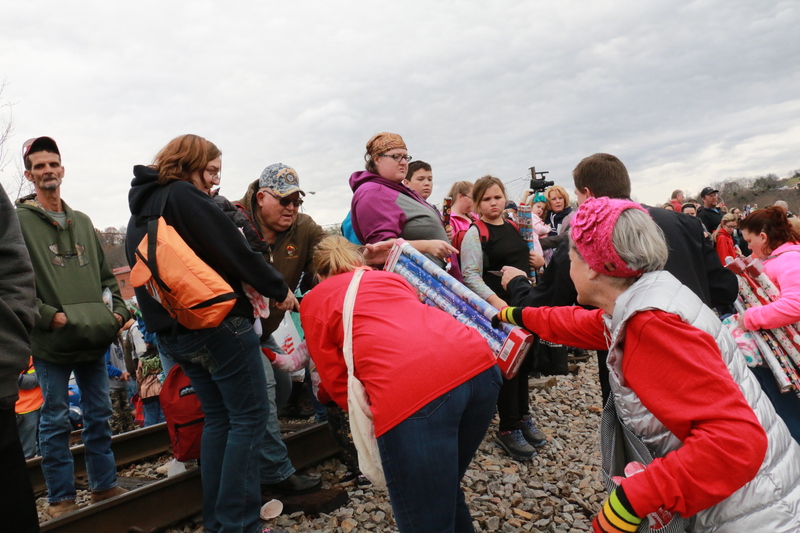 St. Paul residents also received care packages filled with food and toys from the trucks that were lined up beside the tracks. 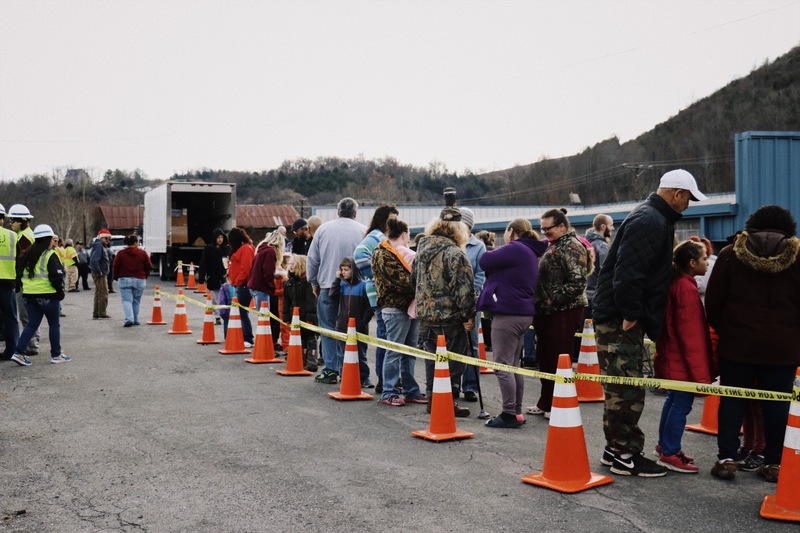 Families braved the cold to wait in line for the packages as the Center Stage Cloggers, an Appalachian clogging group, clicked their shoes and danced on a small, makeshift stage. 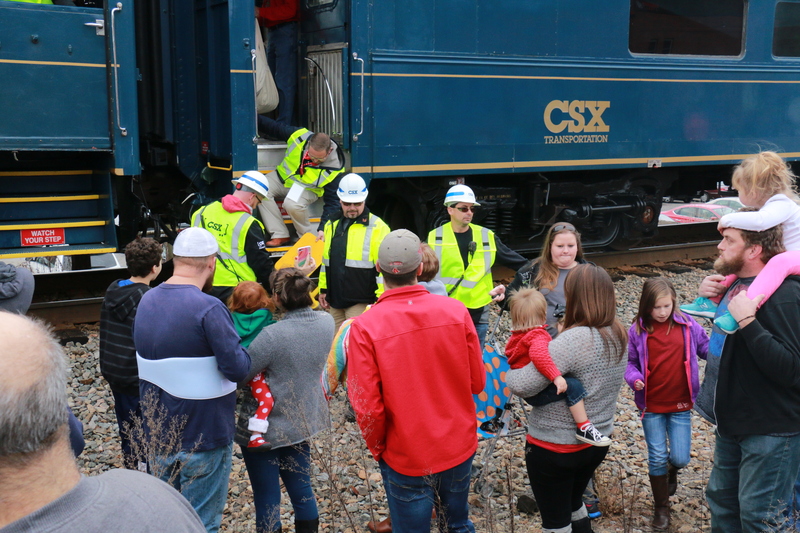 Meanwhile, employees of the Santa Train’s sponsors, CSX, Food City, Appalachian Power, Soles4Souls and the Kingsport Chamber, passed out packages with a smile. 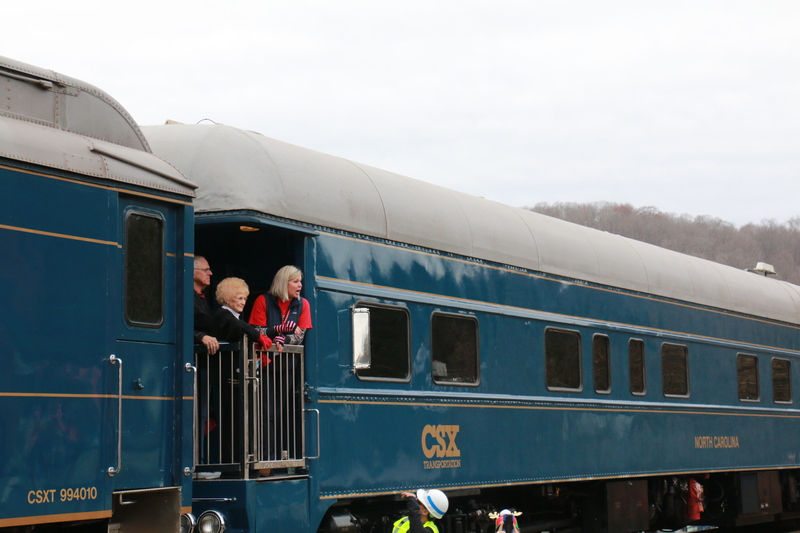 As the winter day began to warm up, the train’s whistle howled through the mountains. 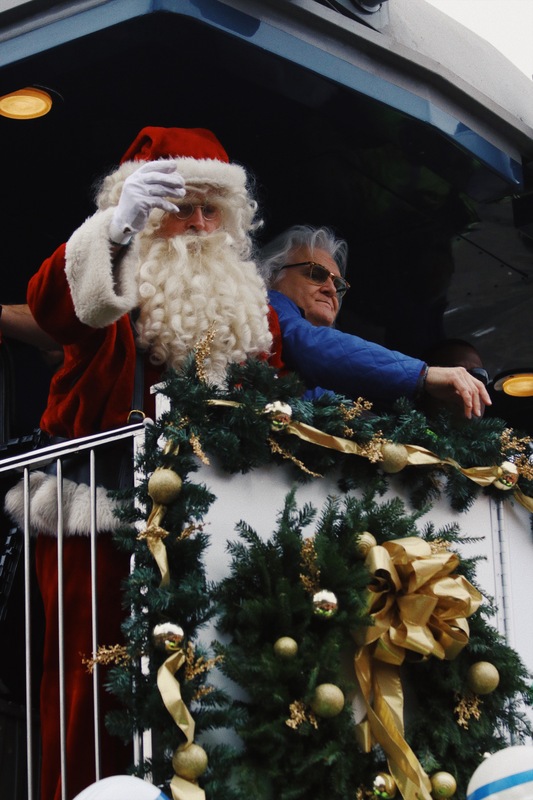 The engine came alive as Santa and Skaggs returned the waves of the children. 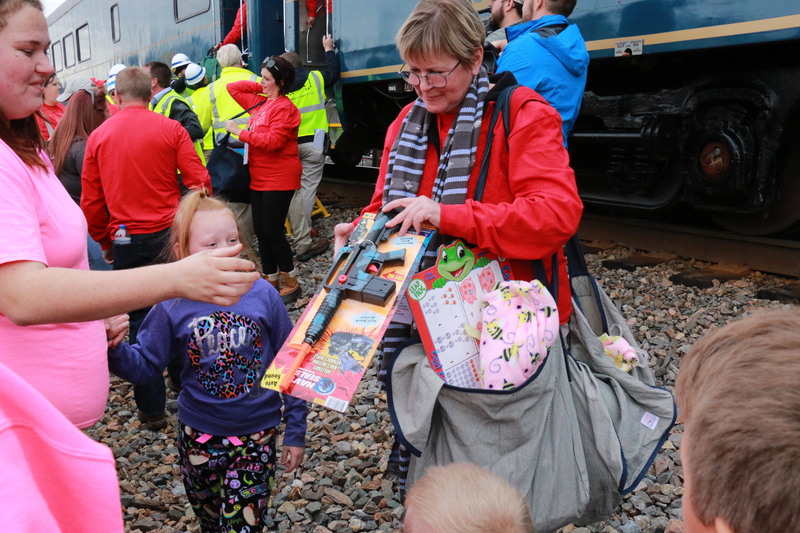 Parents, who worry about putting food on the table, keeping their family together and providing Christmas presents for the little ones, smiled at the latest memory of reaching toward the train. The wait begins again. 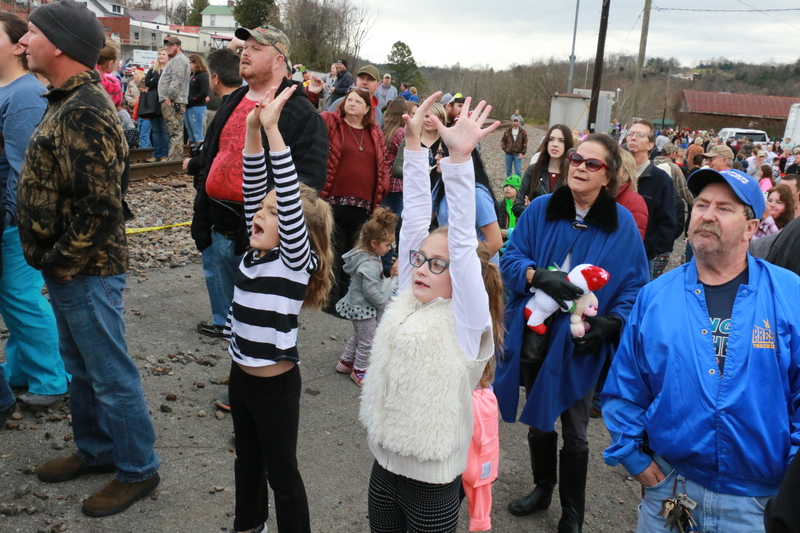 Parents and children raise their hands toward the Santa Train in St. Paul, Virginia, on Nov. 18, 2017. First, I like how this article gave me a split warm feeling when I was watching and reading it. 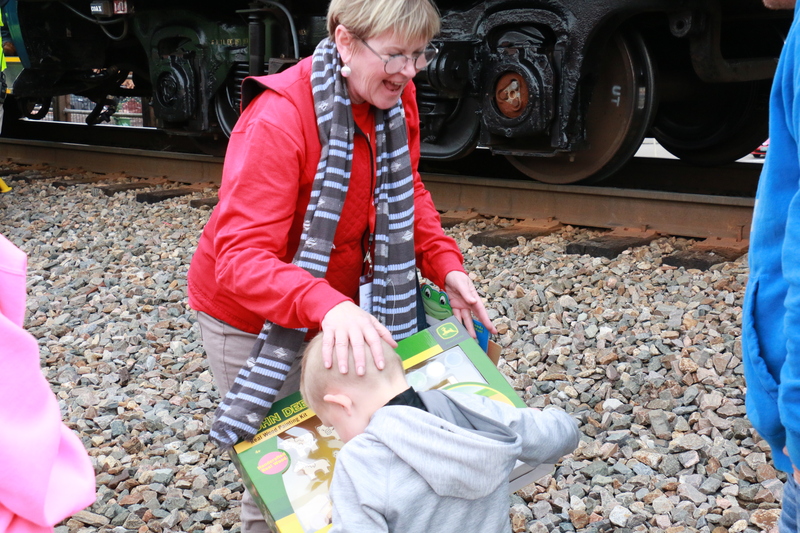 Even though there’s a lot of bad things happening in the world, this train run for families gives hope to the world that good things still happen. 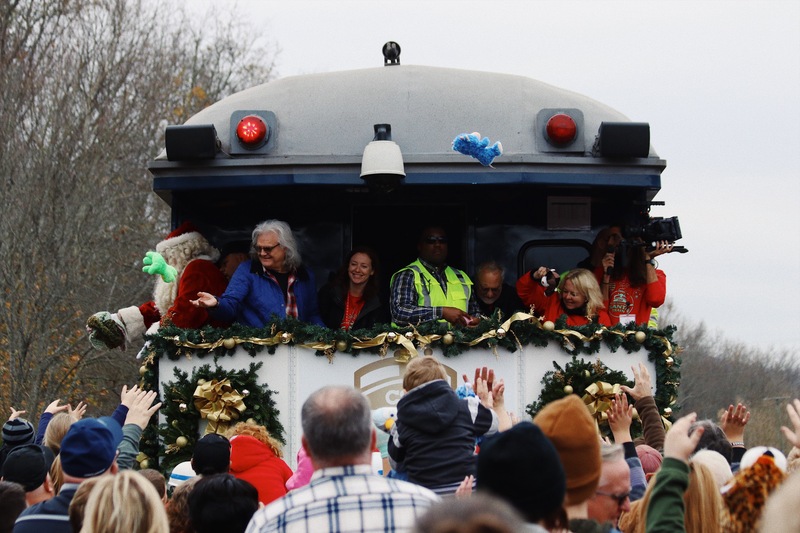 Considering how I’ve never heard of this Santa Train, and it’s the 75th run, I think the idea shares a holiday spirit to everyone that attends. 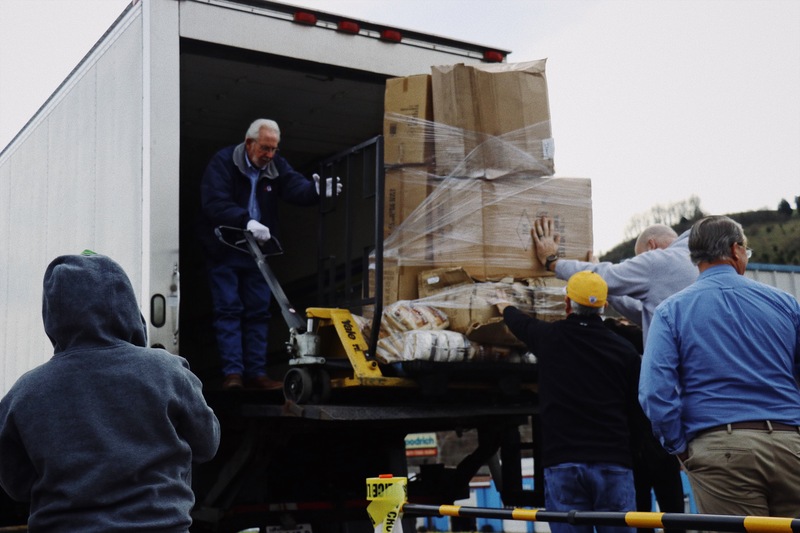 Not a lot of people put in consideration on how many families are struggling to provide their children with gifts, and this gives low-income families an opportunity to still have a smile on their face. Also, I think anything that brings positivity to the community is a good thing, and could help motivate others on spreading more positivity to the world. 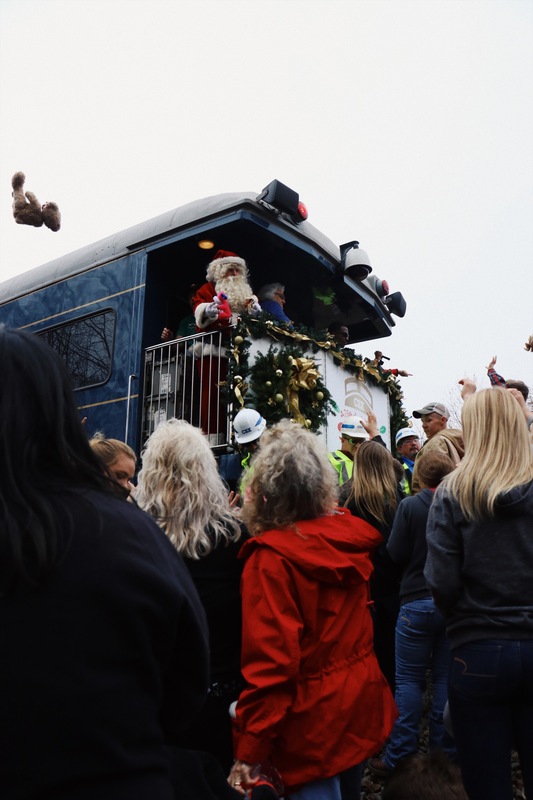 It’s cool to see how The Santa Train goes through dozens of towns every year, and it gives a remembrance of what happened back in this coal county. As with most things, it’s important to realize how things in any industry start to decline because of the rise of new inventions and things. 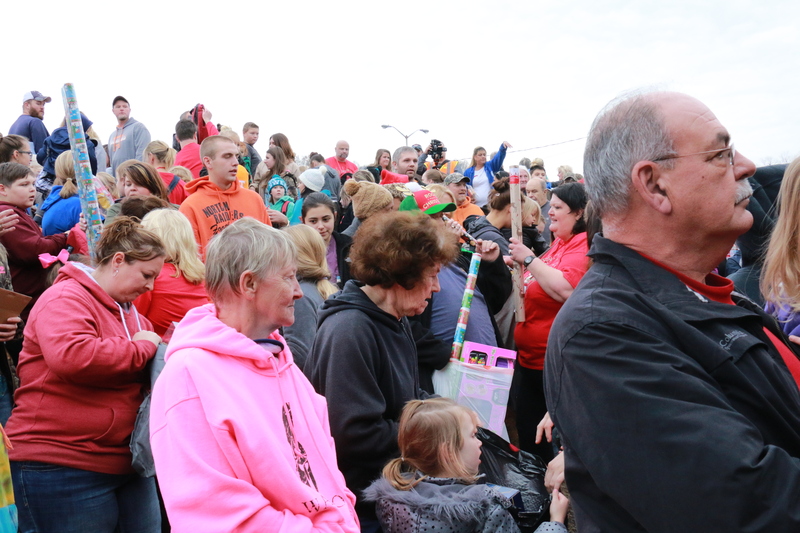 Overall, this is a great tradition for families and gives further hope to the community and future outlook. It seems important for people to remember how this event provides a giving peace to appreciate when things are good or bad.